- Choose Size - 1/16 in. thick foam x 1/4 in. x 150 ft. 1/16 in. thick foam x 3/8 in. x 150 ft. 1/16 in. thick foam x 1/2 in. x 150 ft. 1/16 in. thick foam x 5/8 in. x 150 ft. 1/16 in. thick foam x 3/4 in. x 150 ft. 1/16 in. thick foam x 1 in. x 150 ft. 1/16 in. thick foam x 14 in. x 150 ft. **full width cut 1/8 in. thick foam x 3/16 in. x 75 ft. 1/8 in. thick foam x 1/4 in. x 75 ft. 1/8 in. thick foam x 3/8 in. x 75 ft. 1/8 in. thick foam x 1/2 in. x 75 ft. 1/8 in. thick foam x 3/4 in. x 75 ft. 1/8 in. thick foam x 1 in. x 75 ft. 1/8 in. thick foam x 1-1/8 in. x 75 ft. 1/8 in. thick foam x 1-1/2 in. x 75 ft. 1/8 in. thick foam x 2 in. x 75 ft. 1/8 in. thick foam x 4 in. x 75 ft. 1/8 in. thick foam x 8 in. x 75 ft. **full width cut 3/16 in. thick foam x 1/4 in. x 50 ft. 3/16 in. thick foam x 3/8 in. x 50 ft. 3/16 in. thick foam x 1/2 in. x 50 ft. 3/16 in. thick foam x 3/4 in. x 50 ft. 1/4 in. thick foam x 1/4 in. x 35 ft. 1/4 in. thick foam x 1/2 in. x 35 ft. 1/4 in. thick foam x 3/4 in. x 35 ft. 1/4 in. thick foam x 1 in. x 35 ft. 1/4 in. thick foam x 2 in. x 35 ft. 3/8 in. thick foam x 3/8 in. x 30 ft. 3/8 in. thick foam x 1/2 in. x 30 ft. 3/8 in. thick foam x 3/4 in. x 30 ft. 3/8 in. thick foam x 1 in. x 30 ft. 3/8 in. thick foam x 2 in. x 30 ft. 3/8 in. thick foam x 3 in. x 30 ft. 1/2 in. thick foam x 1/2 in. x 25 ft. 1/2 in. thick foam x 3/4 in. x 25 ft. 1/2 in. thick foam x 1 in. x 25 ft. 1/2 in. thick foam x 1-1/2 in. x 25 ft. 1/2 in. thick foam x 1-3/4 in. x 25 ft. 1/2 in. thick foam x 2 in. x 25 ft. 3/4 in. thick foam x 3/4 in. x 15 ft. 3/4 in. thick foam x 1 in. x 15 ft. 3/4 in. thick foam x 1-1/2 in. x 15 ft. 3/4 in. thick foam x 2 in. x 15 ft. Purchased Most Frequently: 1/8 in. thick x 1/4 in. x 75 ft. (Black) | See Pricing Table below for additional options. JVCC SCF-01 Single Coated Foam Tape is a low density, closed cell PVC foam tape in thicknesses of 1/16, 1/8, 3/16, 1/4, 3/8, 1/2, or 3/4 inches. 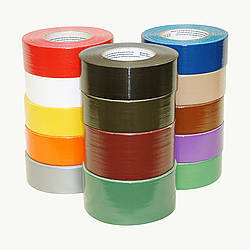 It is an economical, general purpose foam tape coated on one side with a high performance acrylic adhesive. 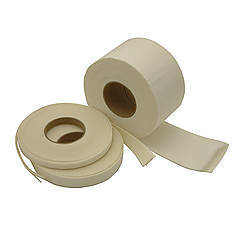 The adhesive on this single-sided foam product is on the exposed side of the tape when you unwind it from the roll; the release liner is pulled away from the non-adhesive side of the tape. 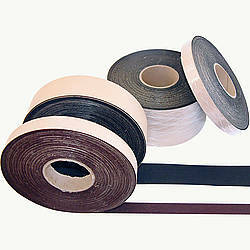 Good combination of flexibility and conformability with strength & wear resistance. 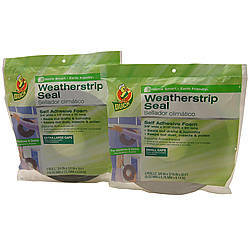 Also has excellent weatherability and chemical resistance. 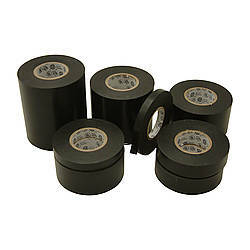 Used in applications requiring positive seals on irregular surfaces or when flexibility and conformability to seal tight radius curves are critical considerations. 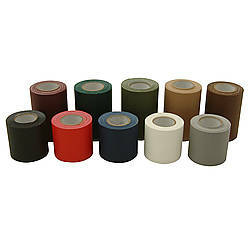 JVCC SCF-01 Foam Tape is used extensively in the automotive, HVAC and construction industries to provide air & weather tight seals; for gasketing, cushioning, vibration control in speakers, vehicles, electronic components and door frames. 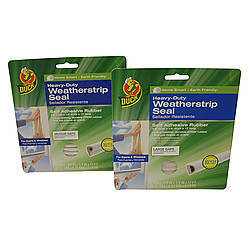 Also for filling and sealing gaps around windows, doors, and car/SUV tops for better insulation. 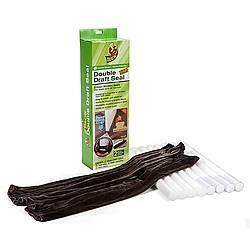 It is a clean, waste free substitute for liquid sealants. Please make note that this a closed cell foam product (to compress it 25% it requires 3.0 psi for the 1/16 inch thick up to 4.0 psi for the 3/4 inch thick); it is not soft like an open cell foam product would be. 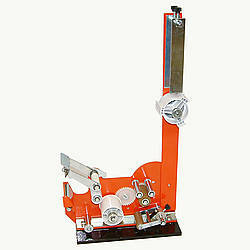 It also complies with European RoHS directive 2002/95/BC. 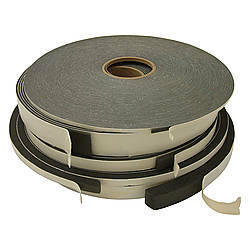 NOTE: SCF-01 tape can be special ordered in thicknesses ranging from 1/16" to 3/4" and in widths ranging from 3/16" to 54". It can also be ordered in gray, instead of black, if ordering by the case. 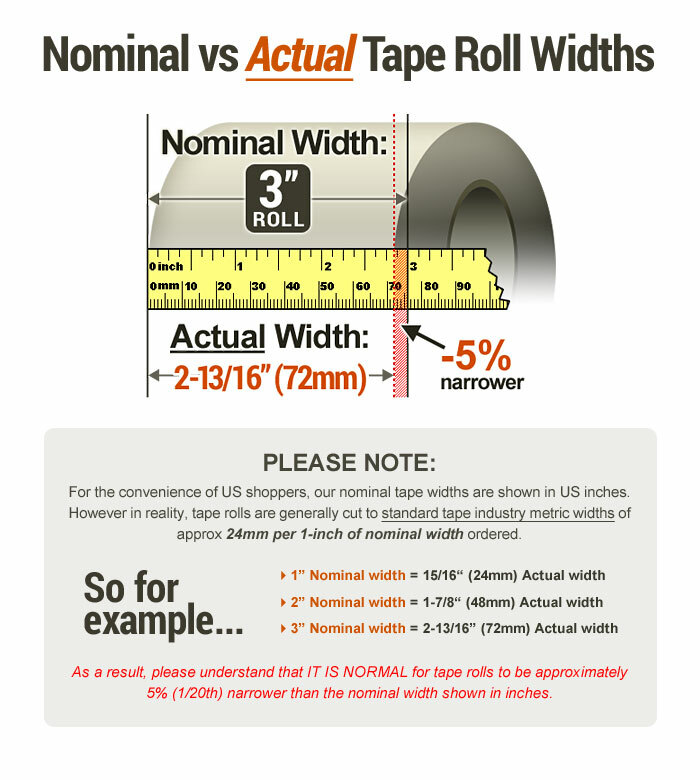 Please use the contact us page to inquire whether a particular thickness/width combination not shown below is available and what the minimum order requirement would be for that size. 1/16 in. thick foam x 1/4 in. x 150 ft.
Actual Size: 1/16 in. 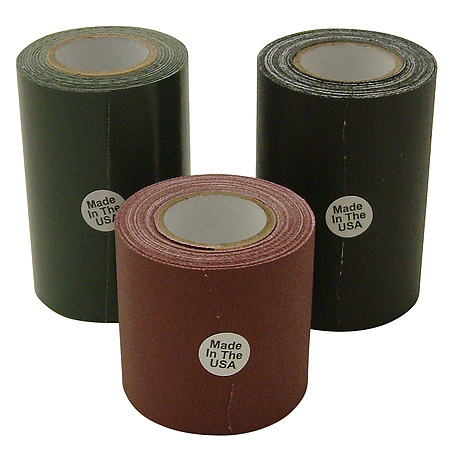 thick foam x 6mm x 150 ft.
1/16 in. thick foam x 3/8 in. x 150 ft.
Actual Size: 1/16 in. 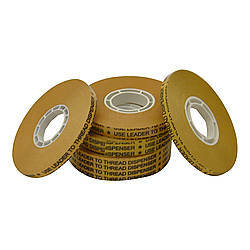 thick foam x 9mm x 150 ft.
1/16 in. thick foam x 1/2 in. x 150 ft.
Actual Size: 1/16 in. thick foam x 12mm x 150 ft.
1/8 in. thick foam x 1/4 in. x 75 ft.
Actual Size: 1/8 in. thick foam x 6mm x 75 ft.
1/8 in. thick foam x 1/2 in. x 75 ft.
Actual Size: 1/8 in. thick foam x 12mm x 75 ft.
1/8 in. thick foam x 3/4 in. x 75 ft.
Actual Size: 1/8 in. thick foam x 18mm x 75 ft.
1/8 in. thick foam x 1 in. x 75 ft.
Actual Size: 1/8 in. thick foam x 24mm x 75 ft.
1/8 in. thick foam x 1-1/2 in. x 75 ft.
Actual Size: 1/8 in. thick foam x 36mm x 75 ft.
3/16 in. thick foam x 3/8 in. x 50 ft.
Actual Size: 3/16 in. thick foam x 9mm x 50 ft.
1/4 in. thick foam x 1/2 in. x 35 ft.
Actual Size: 1/4 in. thick foam x 12mm x 35 ft.
1/4 in. thick foam x 3/4 in. x 35 ft.
Actual Size: 1/4 in. thick foam x 18mm x 35 ft.
1/4 in. thick foam x 1 in. x 35 ft.
Actual Size: 1/4 in. thick foam x 24mm x 35 ft.
3/8 in. thick foam x 1/2 in. x 30 ft.
Actual Size: 3/8 in. thick foam x 12mm x 30 ft.
3/8 in. thick foam x 3/4 in. x 30 ft.
Actual Size: 3/8 in. thick foam x 18mm x 30 ft.
3/8 in. thick foam x 1 in. x 30 ft.
Actual Size: 3/8 in. thick foam x 24mm x 30 ft.
1/2 in. thick foam x 1/2 in. x 25 ft.
Actual Size: 1/2 in. thick foam x 12mm x 25 ft.
1/2 in. thick foam x 3/4 in. x 25 ft.
Actual Size: 1/2 in. thick foam x 18mm x 25 ft.
1/2 in. thick foam x 1 in. x 25 ft.
Actual Size: 1/2 in. thick foam x 24mm x 25 ft.
1/2 in. thick foam x 1-1/2 in. x 25 ft.
Actual Size: 1/2 in. 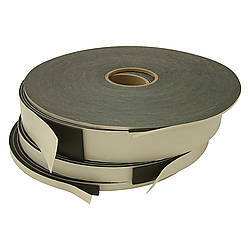 thick foam x 36mm x 25 ft.
1/2 in. thick foam x 2 in. x 25 ft.
Actual Size: 1/2 in. thick foam x 48mm x 25 ft.
3/4 in. thick foam x 1 in. x 15 ft.
Actual Size: 3/4 in. thick foam x 24mm x 15 ft.
3/4 in. thick foam x 1-1/2 in. x 15 ft.
Actual Size: 3/4 in. thick foam x 36mm x 15 ft.
1/16 in. thick foam x 5/8 in. x 150 ft.
1/16 in. thick foam x 3/4 in. x 150 ft.
Actual Size: 1/16 in. thick foam x 18mm x 150 ft.
1/16 in. thick foam x 1 in. x 150 ft.
Actual Size: 1/16 in. thick foam x 24mm x 150 ft.
1/8 in. thick foam x 3/16 in. x 75 ft.
Actual Size: 1/8 in. thick foam x 4.5mm x 75 ft.
1/8 in. thick foam x 3/8 in. x 75 ft.
Actual Size: 1/8 in. thick foam x 9mm x 75 ft.
1/8 in. thick foam x 1-1/8 in. x 75 ft.
1/8 in. thick foam x 2 in. x 75 ft.
Actual Size: 1/8 in. thick foam x 48mm x 75 ft.
1/8 in. thick foam x 4 in. x 75 ft.
Actual Size: 1/8 in. thick foam x 96mm x 75 ft.
3/16 in. thick foam x 1/4 in. x 50 ft.
Actual Size: 3/16 in. thick foam x 6mm x 50 ft.
3/16 in. thick foam x 1/2 in. x 50 ft.
Actual Size: 3/16 in. thick foam x 12mm x 50 ft.
3/16 in. thick foam x 3/4 in. x 50 ft.
Actual Size: 3/16 in. thick foam x 18mm x 50 ft.
1/4 in. thick foam x 1/4 in. x 35 ft.
Actual Size: 1/4 in. thick foam x 6mm x 35 ft.
1/4 in. thick foam x 2 in. x 35 ft.
Actual Size: 1/4 in. thick foam x 48mm x 35 ft.
3/8 in. thick foam x 3/8 in. x 30 ft.
Actual Size: 3/8 in. thick foam x 9mm x 30 ft.
3/8 in. thick foam x 2 in. x 30 ft.
Actual Size: 3/8 in. thick foam x 48mm x 30 ft.
3/8 in. thick foam x 3 in. x 30 ft.
Actual Size: 3/8 in. 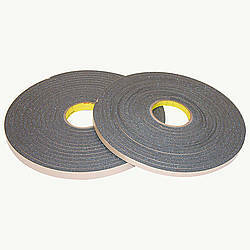 thick foam x 72mm x 30 ft.
1/2 in. thick foam x 1-3/4 in. x 25 ft.
3/4 in. thick foam x 3/4 in. x 15 ft.
Actual Size: 3/4 in. thick foam x 18mm x 15 ft.
3/4 in. thick foam x 2 in. x 15 ft.
Actual Size: 3/4 in. thick foam x 48mm x 15 ft.